The vending machines with refrigeration systems, such as KVM-G636, KVM-G654, their backs cannot be placed next to the wall. They should be 10 cm from the wall. Find a place that is near to a 220V power outlet to supply the machine, ensuring a good connection. Remove the cardboard and pallet dismantling band before the installation of the machine. Insert enough change. Store at least 10 coins of every denomination in the corresponding tube device. Otherwise the machine cannot work normally. Ensure that each product aisle has more than five products. Test the machine with no goods, to ensure each aisle is normal, and the coin mech and the note acceptors are all working correctly. According to the price of the commodities, affix the price label. According to the price label, input the price info. Into the keypad program respectively, be corresponding! The door must be closed firmly, leaving no gaps in the door firmly turn clockwise rotation until the rotation can’t move any more. In contrast, anti-clockwise rotation for the task to open the door locks. Ensure that all parts of the machine can operate well before entering into operation. Do some market research on the main potential customers. Try to find more consumption products. In accordance with sales data provided by the vending machine, adjust the types and quantity of commodities to enhance sales. Collect the notes and coins regularly. In order to avoid too much money to cause obstruction In this case, the machine will not normally receive money or cannot give change. The management of vending machines should be in a system. That is to say, there should someone to manage all the machines specifically, for the installation, operation and maintenance. 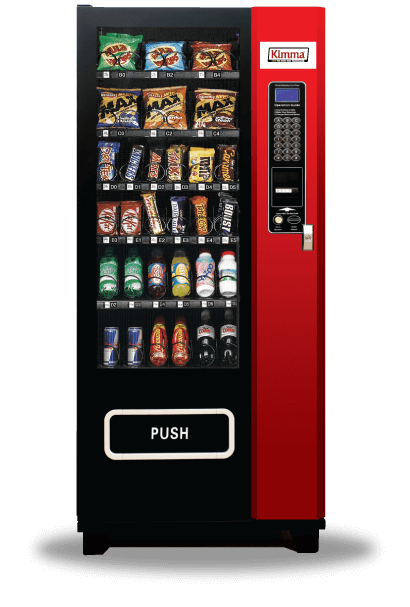 This will help to build the vending machine management system and improve overall efficiency. When problems arise in a vending machine, a speedy and professional solution is indispensable. Please resort to us. We have customer service staff that will help you to solve your problems as quickly as is possible. Increase the number of machines; expand the operation scale. These will reduce your management costs.